3 storied new white building. Each floor has 01 DBL DLX en suite room with private kitchen (kitchen utensil) and private balcony with light and fan. 24 hrs running solar hot water, refrigerator and free wifi. Spacious room space, clean, fresh and hygienic. Friendly, trust worth, english speaking staffs. Walking distance to the beach and easy access to the shops and restaurants. We are only 16 kilometers from Trivandrum International Airport and same distance from Trivandrum Central Bus Terminal and Trivandrum Central Railway Station. 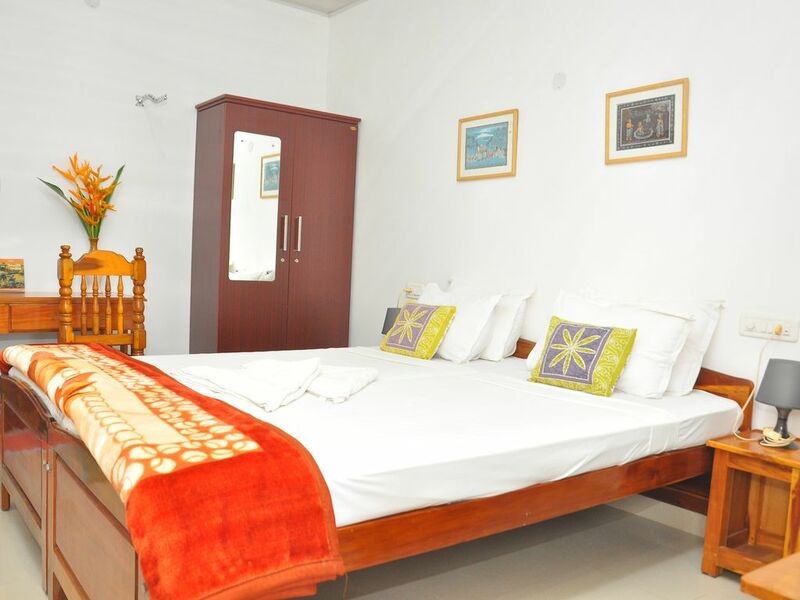 Last 20 years i am in my own travel business here in kovalam and 2002 onwards i have added my personal service and attention to hospitality industry (accommodation) and it's going on well. I always try to keep good contact and communication with people from all over the world.